Measuring just 13mm to 15mm think Acer’s new S1 displays are now available to purchase. The Acer S1 display is packed with green power saving features and the range uses LED back lighting to provide 12 million :1 contrast ratio between dark and light colours. 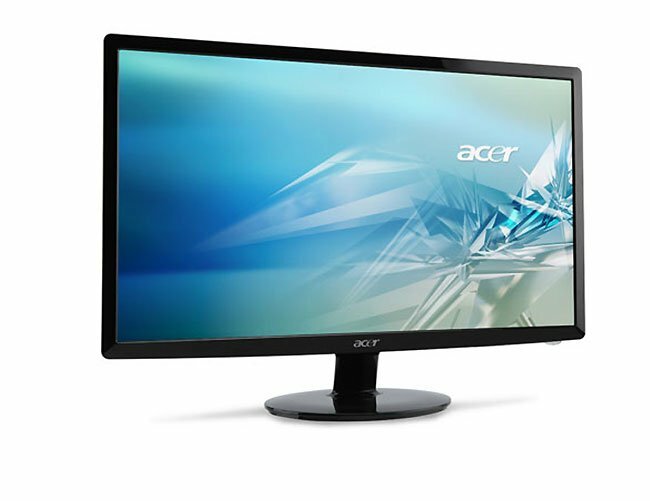 The Acer S1 series will be available in 20″, 21.5″ and 23″ sizes and due to the LED technology the Acer displays have no harmful halogen or substances lurking inside and offers a 68% increase in energy efficiency. All three displays in the range also have RoHS and are ENERGY STAR 5.0 compliant. The 21.5″ and 23″ models have a 1920 x 1080 resolution rapid 5ms response times, 250 cd/m2 brightness and 16.7 million colours, with VGA port or DVI port with HDCP protection. The 23″ has an all-digital HDMI connection for Blu-ray and games consoles. The Acer S1 range of display is now available the 20″ S201HL will retail for $169.99, the 21.5″ S211HL for $219.99 and the 23″ S231HL for $269.99.